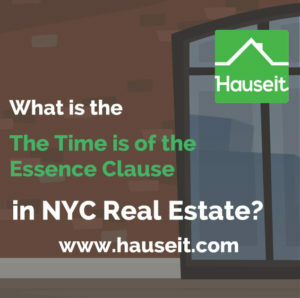 What is time is of the essence as it relates to real estate transactions? What happens in practice for re-sales vs new construction deals in NYC? 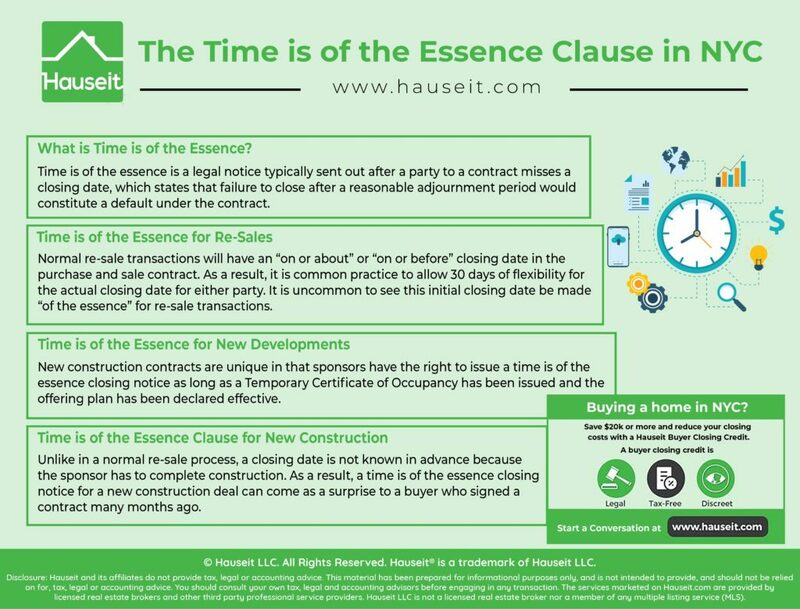 We’ll explain what buyers and sellers need to know about the time is of the essence clause and show you a sample sponsor closing notice with time is of the essence language in this article. What is Time is of the Essence? Time is of the essence is a legal clause most commonly seen in real estate purchase and sale contracts. A closing date is deemed “of the essence” if both parties agree beforehand, or if the closing date in the contract is missed by one party and the other party sends a time is of the essence notice to close on a new date with a reasonable adjournment period. What Constitutes Of the Essence? For it to be valid, a time is of the essence notice should also make clear that failure to close after a reasonable adjournment period would constitute a default under the contract. To be clear, just because a purchase contract has a specified closing date does not mean that closing on that date “is of the essence,” and either party is entitled to a reasonable adjournment period. However, either party can unilaterally send out a time is of the essence notice if the closing does not happen on the specified closing date. Normal re-sale transactions will have an “on or about” or “on or before” closing date in the purchase and sale contract. As a result, it is common practice to allow 30 days of flexibility for the actual closing date for either party. It is uncommon to see this initial closing date be made “of the essence” for re-sale transactions. However, if the buyer or seller does not close within 30 days of the on or about closing date, the other party may send a time is of the essence notice. This notice does not necessarily need to include any specific time is of the essence clause or language as long as the notice specifies the specific time or date for performance and gives warning that any failure to do so will constitute a breach or default of the contract. While technically either party can send a time is of the essence notice in granting the initial adjournment, this does not happen in practice and harsh language like this is only used as a last resort. Pro Tip: Sellers understand that taking a buyer’s contract deposit is a serious act and may result in litigation. As a result, most bona fide sellers will attempt to work out a closing date that works for the buyer as both parties ultimately want to complete the sale. New construction contracts are unique in that sponsors have the right to issue a time is of the essence closing notice as long as a Temporary Certificate of Occupancy has been issued and the offering plan has been declared effective. 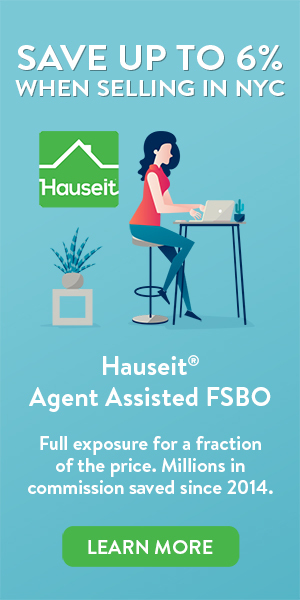 This can present unique risks to purchasers as a contract can be signed months or even years before a sponsor has completed construction and is ready to close. 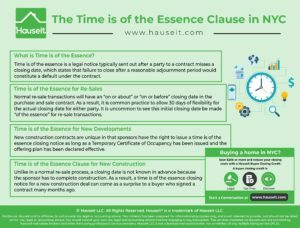 As a result, a time is of the essence closing notice for a new construction deal can come as a surprise to a buyer who signed a contract many months ago. Take a look at our sample new construction purchase contract and you’ll see that 30 days’ notice by the sponsor is quite common. Depending on how your real estate attorney negotiates the contract on your behalf, you may also be entitled to a right to adjourn the closing for ten or fifteen days. Please see below for sample closing date and place language in a new construction purchase contract. We’ve included a sample time is of the essence closing notice below from a sponsor’s attorney to a buyer’s attorney in reference to a new construction condominium sale. Please note that unlike a normal re-sale, a closing date is not known in advance because the sponsor has to complete construction. However, once the sponsor has finished construction, has received a Temporary Certificate of Occupancy and has had the offering plan declared effective, then the sponsor can send a time is of the essence closing notice immediately with often only a 30 days heads up. Please be advised that a Temporary Certificate of Occupancy has been issued and the Declaration has been recorded for the building known as New Construction Place, Manhattan, New York. Please be further advised that the closing must take place on or before October 3, 2018 at the office of Sponsor Attorney Associates P.C., located at 111 Fifth Avenue, New York, New York 11214. TIME IS OF THE ESSENCE. You may schedule a closing earlier than this date if you wish to do so. (ii) provide a title report from the title company which will insure title to the unit, if not already provided. The foregoing materials may be sent to Sponsor Attorney Associates P.C., located at 111 Fifth Avenue, New York, New York 11214 or emailed to esquire@sponsorattorneyassociates.com. It is imperative that purchasers meet all of the lender’s pre-closing requirements prior to the Closing. At the Closing, the Sponsor will execute the Condominium Unit Deed, which will be delivered to the purchaser. If you have any questions, please call Mr. Sponsor Esquire at 212-252-1212 Ext. 121. Thank you.